…keeps the vet away? 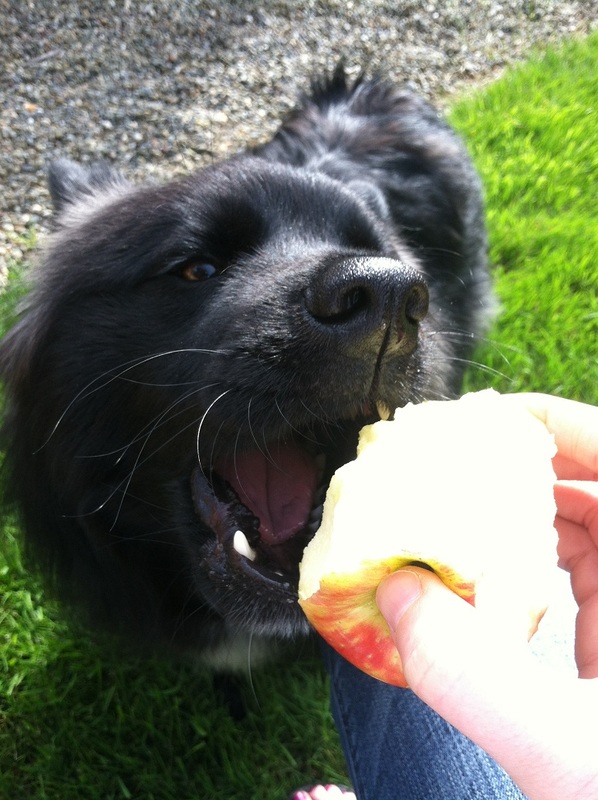 Maybe not, but apples are as good for your dog as they are for you! Along with carrots and blueberries, one of Teton’s favorite treats is the apple. 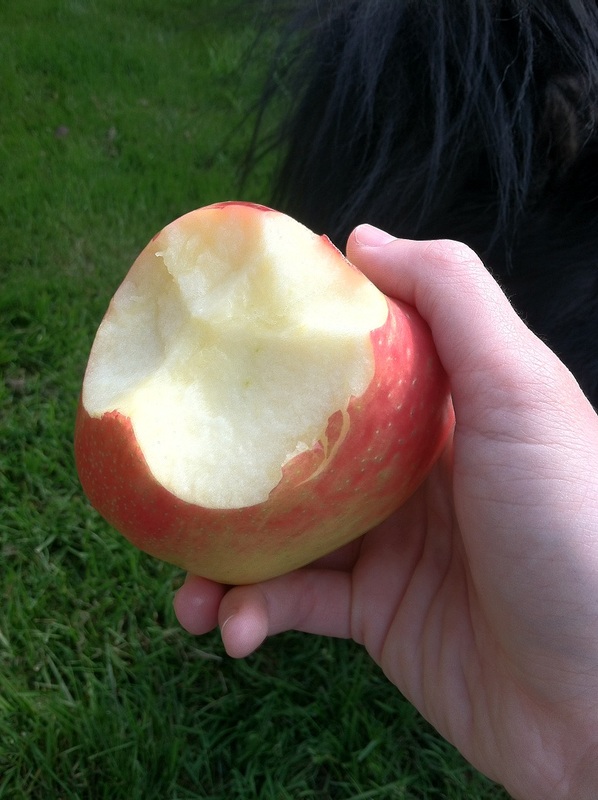 I love apples myself (hello, Honeycrisp!) so when this cute little bugger sits next to me and gives me this face, how can I not give him a bite or two? He doesn’t usually bite off a piece directly from the apple, but hey, anything for a good photo. 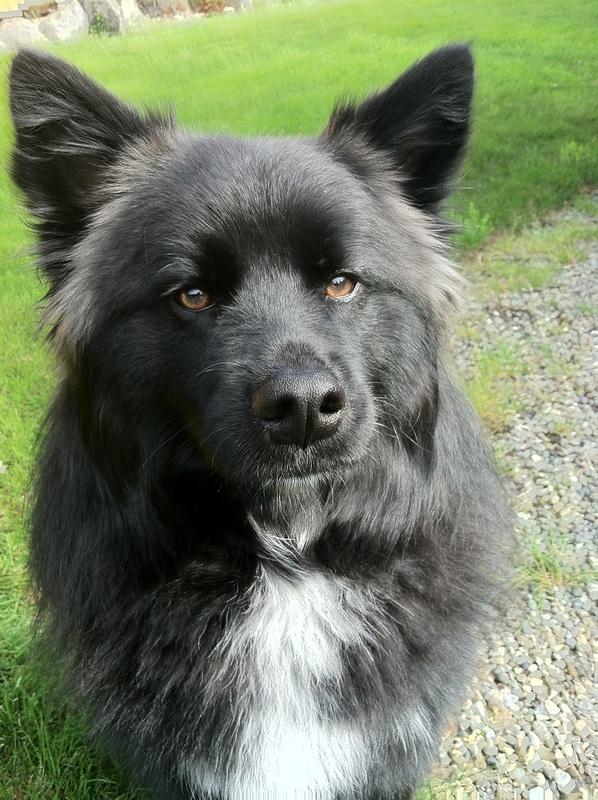 Posted on May 8, 2012 by Shannon	This entry was posted in Treat Jar. Bookmark the permalink. Our terrier Ethel get carrots or pea pods almost everyday. They are her favorites. We put them in the kong and is an expert at getting them out. Pea pods?! We haven’t tried those! Great idea. So is putting them in a Kong. Makes it even more special! This is great timing. I actually tried giving my two pups a bite of apple last night. One of them LOVED it, the other one barked and threw it around as if to say, “this is NOT my usual carrot!” It was so funny that I had to take a video. Oddly enough, my dogs mostly like vegetables. I can’t find a (safe) fruit that they will both eat.